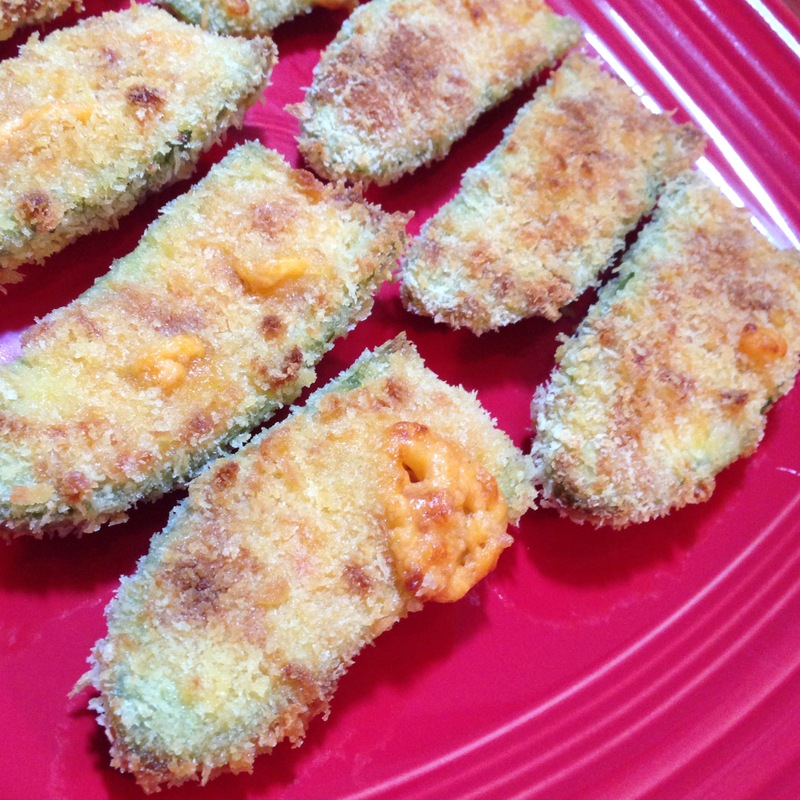 If you like jalapeno poppers, you are going to pass out when you see this recipe. They came to be a few weekends back, when I was in South Carolina visiting Crist. We were spending the weekend at the beach, and the weather was predicted to be bringing some nasty storms – so we limited our plans to hitting the grocery store early, and then staying in and drinking and eating and watching crappy TV and movies all day (Mystic Pizza, anyone?). The rain never did come, but our plan to eat, drink, and be merry held fast, and we spent some time brainstorming deliciously unhealthy things to cook… and this is the result. *If you do not live in an area where pimento cheese is readily available at the grocery store (ahem, MICHIGAN), you can use Crist’s recipe here. 1.) Start by cooking your bacon until crisp, in whatever fashion you prefer (microwave, stovetop, oven, etc). Allow the bacon to drain any excess fat on some paper towels, and preheat your oven to 375°. 2.) 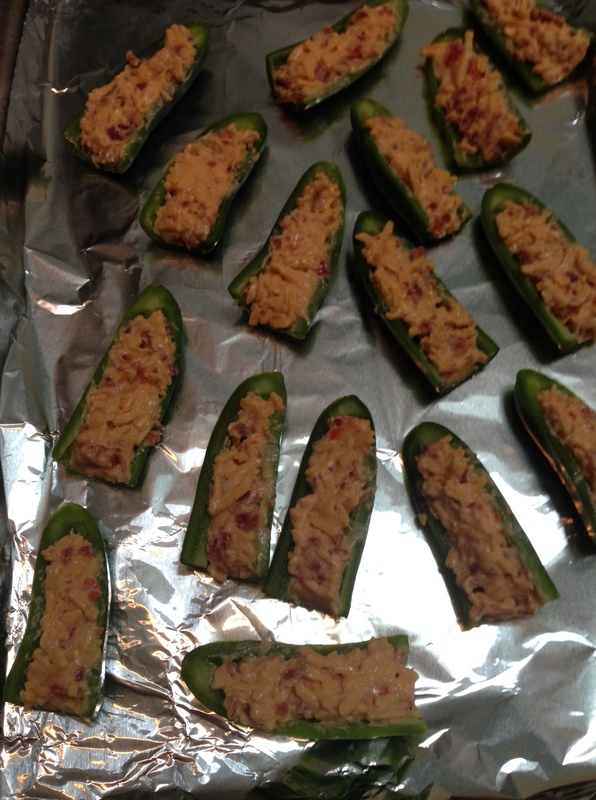 Cut the stems from the jalapeños, and then slice them in half lengthwise. Use a spoon to scoop out the ribs and seeds, and be sure to wash your hands very well when you’re done (and dear god, do not touch your eyes or your face or anything else before your hands are thoroughly washed). 3.) Chop your crispy bacon into small pieces. 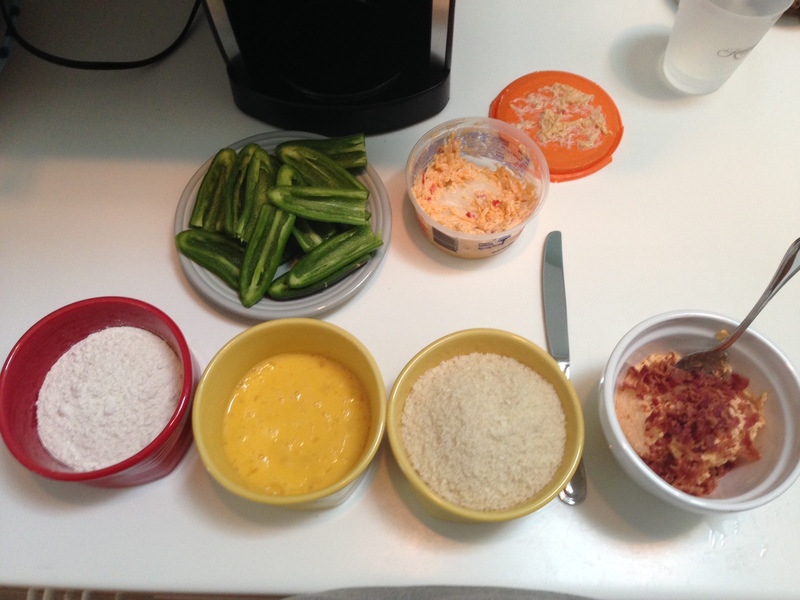 Add the pimento cheese and bacon to a small bowl, and combine well. Spread the cheese and bacon mixture into the jalapeños halves, and then pop them into the freezer for about 15 minutes so they harden up a bit. 4.) While the poppers chill, set up a breading station: flour (whisked together with a pinch each of salt and pepper) in one wide, shallow bowl, eggs (well beaten) in a second, and panko in a third. Coat the poppers in the flour, then egg, then panko – being sure to tap off any excess flour and egg, and pressing the panko into the poppers so that it sticks well. 5.) Arrange the jalapeños on a foil-lined baking sheet, and lightly mist or drizzle them with the olive oil. Bake for about 20 minutes, until they’re nice and brown and crispy. Serve warm. 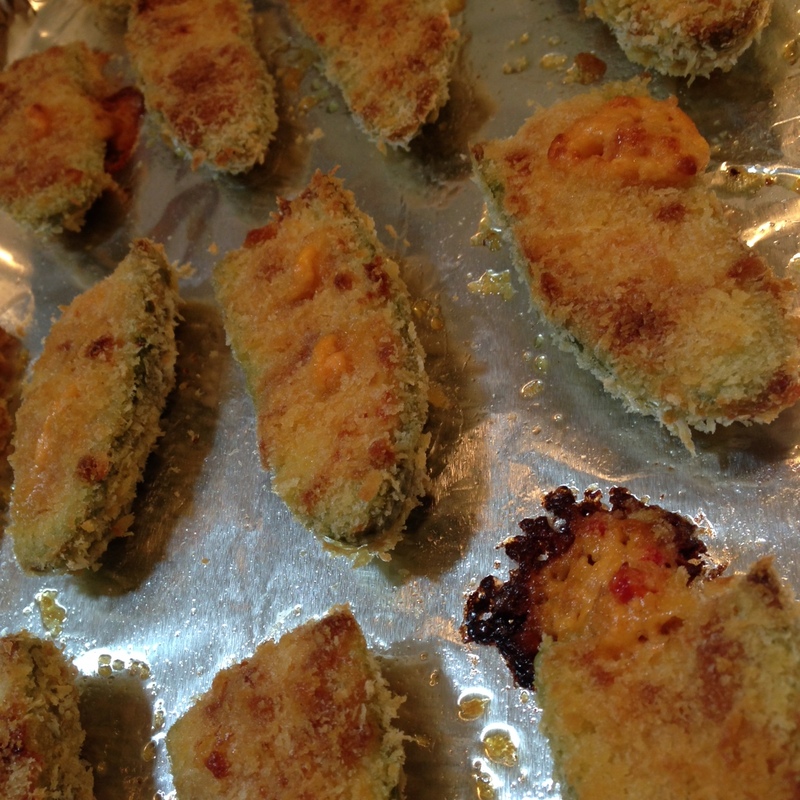 I mean… there is not much that can be said about these jalapeño poppers, really. 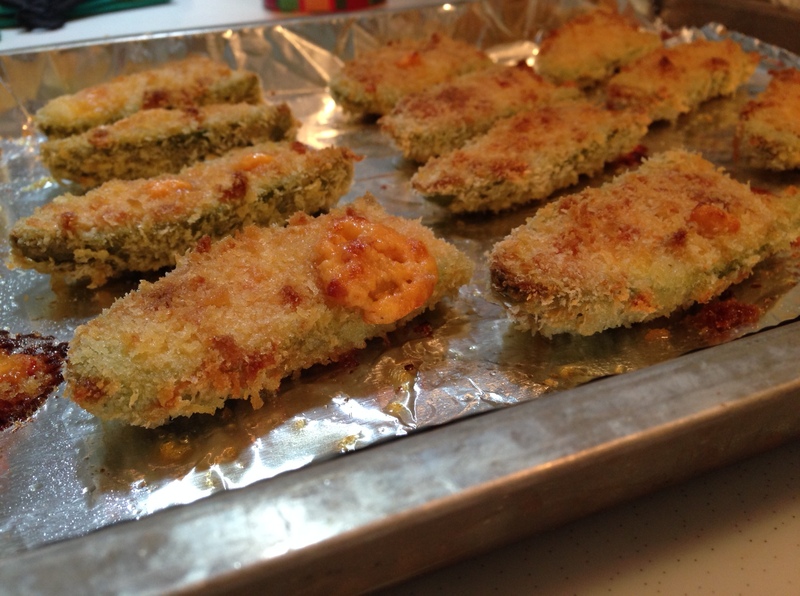 Spicy, crunchy jalapeños stuffed with gooey pimento cheese and salty, smoky bacon, and coated in golden brown panko? SIGN ME UP. Damn, they were tasty. I would like one (or a half dozen) right now, as a matter of fact. This recipe will definitely be added to my “go to appetizers” list. I love that they could be largely prepped ahead of time (seed and stuff the peppers with the cheese and bacon, then refrigerate, covered, for as long as 24 hours; bread them and bake them when you need them). 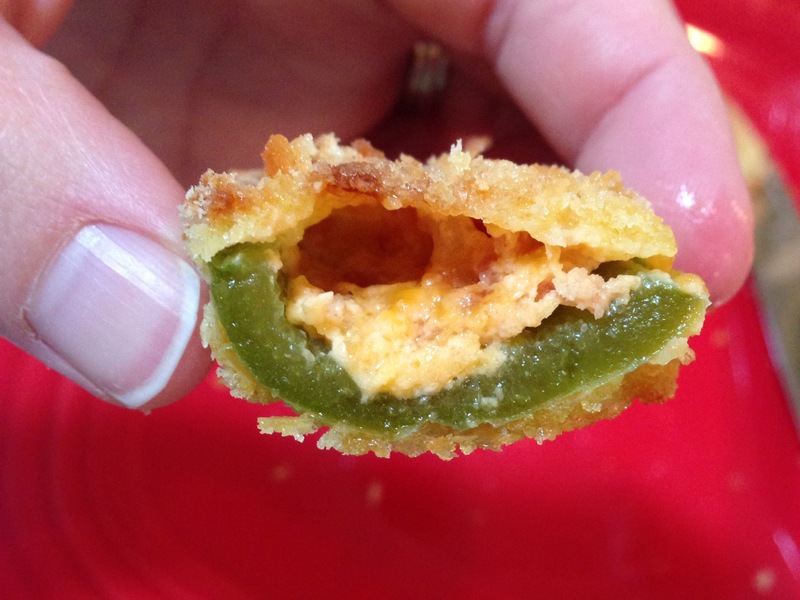 And who doesn’t love a cheesy, crunchy jalapeño popper?? They’re sure to be a hit with everyone you know. If you’ve ever been to a Potbelly Sandwich shop, then I would sincerely hope you have tried one of their (enormous, delightful) oatmeal chocolate chip cookies. For starters, they are the size of my head. Second, the people at Potbelly work some kind of voodoo magic whereby these cookies are always fresh-from-the-oven warm, so the chocolate chips are juuuuust a little melty and gooey. Third, they are soft and chewy on the inside, but the outside crust has just a touch of browned crispiness that makes for the perfect textural contrast – kind of like a creme brulee, where that ultra-thin sugar crust just perfectly offsets the creamy custard interior. 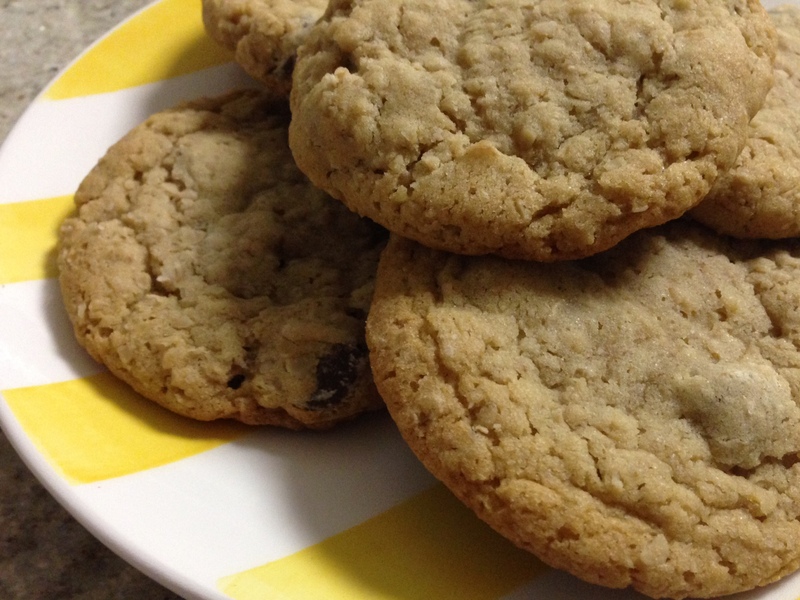 Basically, they’re the perfect cookie. ANYWAYS. I like to challenge myself to recreate dishes I’ve eaten at restaurants, or baked goods/desserts that I’ve had, and these cookies seemed like a perfect project (on yet another Saturday where copious amounts of snow were deterring me from leaving the house). 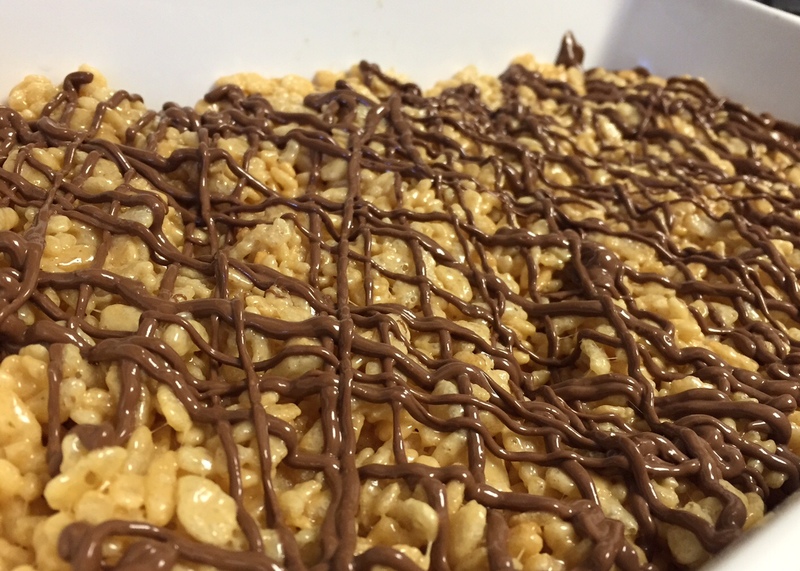 I sort of expected that it would take me a couple tries to get them exactly right – the texture of the oatmeal, the amount of oatmeal, the amount of chocolate chips, the crispy exterior combined with the gooey interior. 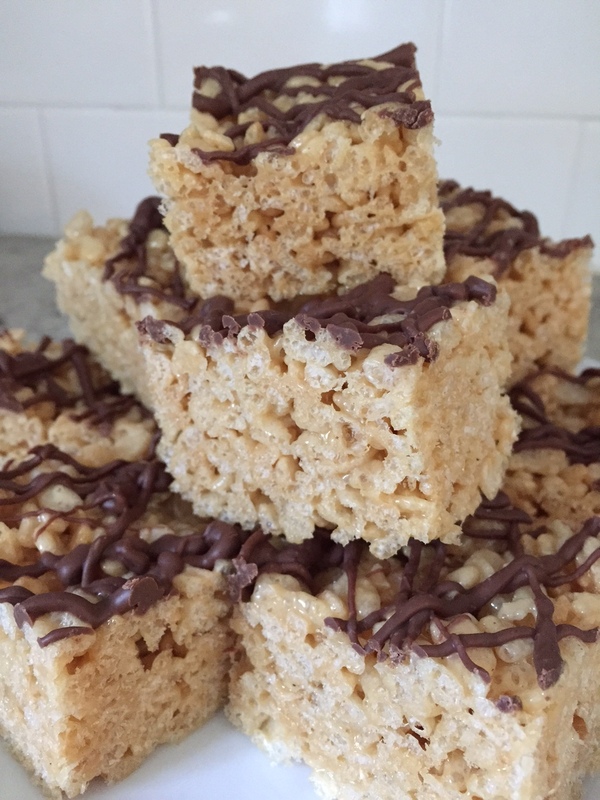 But, the baking gods smiled down upon me, and I nailed it on the first try. I celebrated my success by eating my body weight in cookies for dinner. 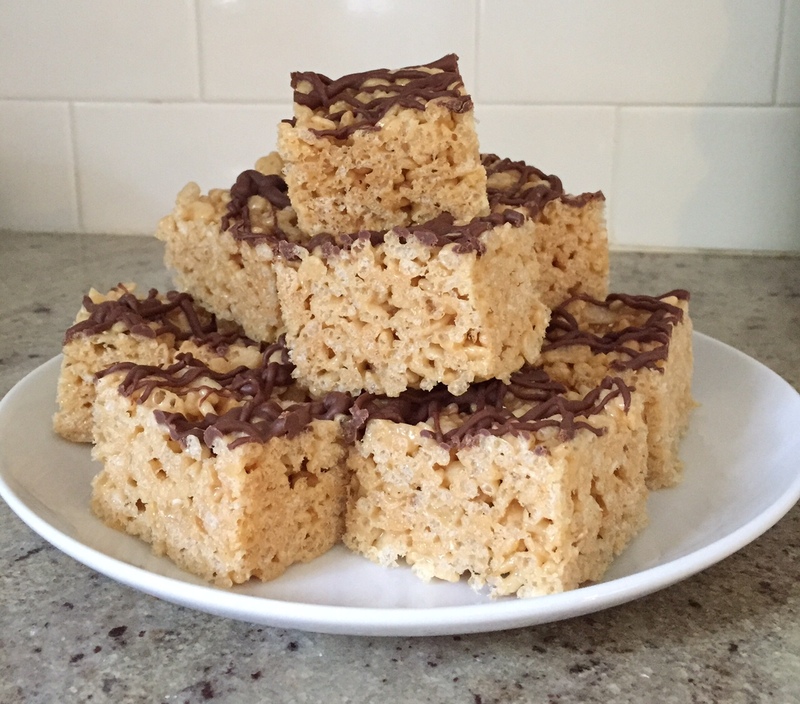 *This step is crucial to achieving the proper texture for these cookies: measure out your two cups of oats, and then briefly grind them up in a food processor (or a blender, if necessary). 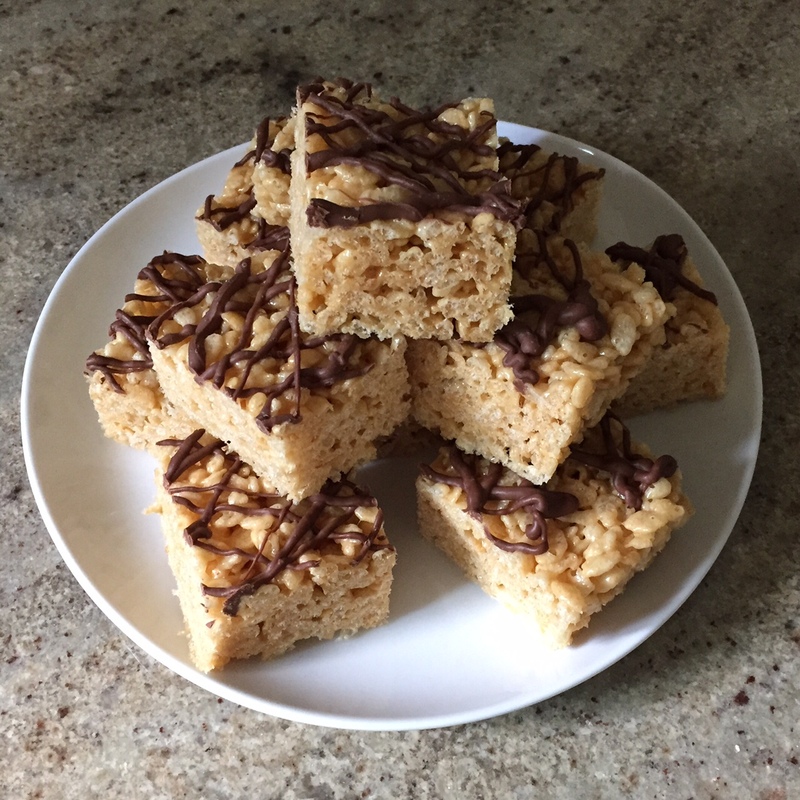 I did about ten, one-second pulses – which broke the oats up enough to give them a finer texture, but kept them chunky enough to remain identifiable. 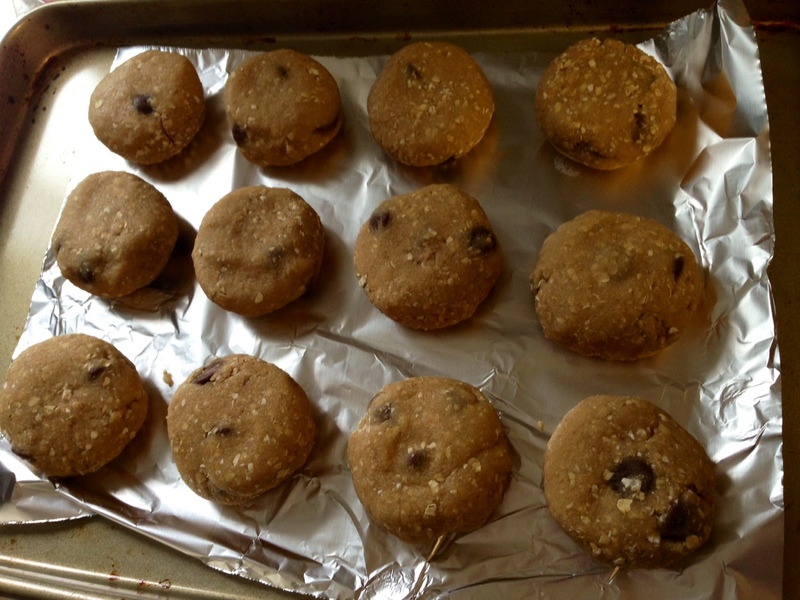 **Again, if you truly want to replicate the Potbelly cookies, you’re going to need to be specific about the chocolate chips you use. They should be milk chocolate, and they should be BIG chips (not chunks). 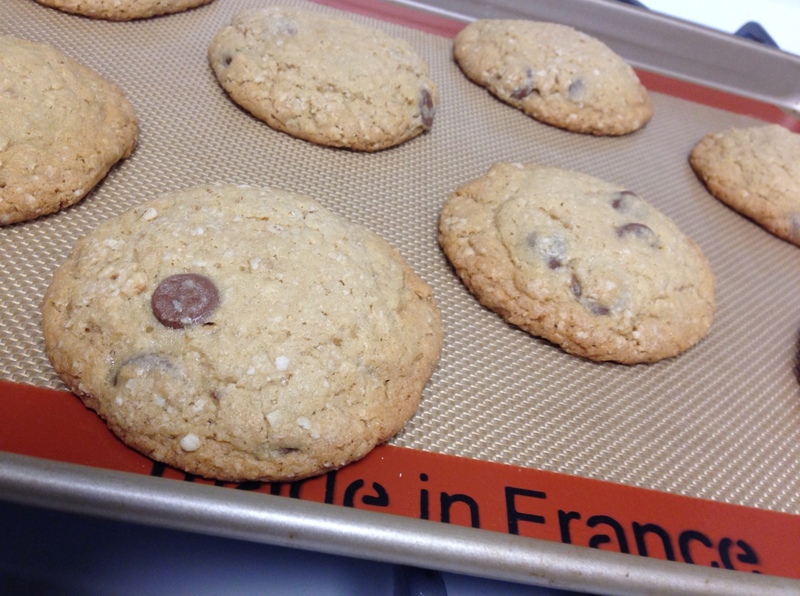 I found that the Ghirardelli milk chocolate chips were perfect – great size, taste, and texture. If you could care less about these being like the Potbelly ones? 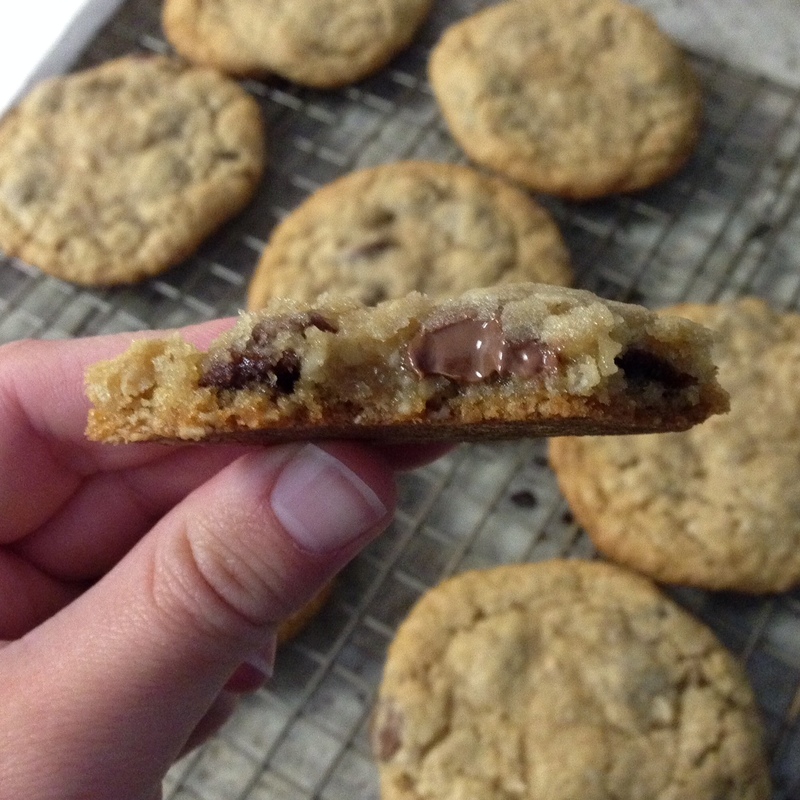 Go nuts and use dark chocolate, mini chocolate chips, chocolate chunks, whatever! 1.) Start by creaming together the butter and sugars until well-combined, about 90 seconds. Add in the vanilla and eggs, and beat until fully incorporated. 2.) Combine your baking soda, kosher salt, and flour, then add it to the dough in two additions, beating until just incorporated each time. 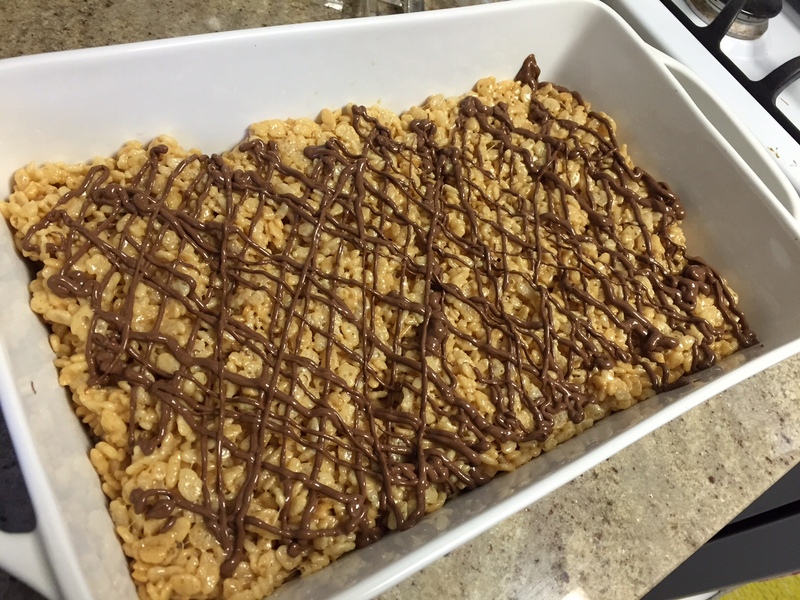 Add the lightly ground oats and chocolate chips, and again, mix until those ingredients are just evenly distributed and incorporated. 3.) Line a baking sheet or platter with parchment paper or foil. Roll the dough into large balls (larger than a golf ball, about 2″ in diameter); then, gently flatten the ball between your palms (it should still be slightly more than an inch thick). Arrange the dough rounds on the baking sheet, adding another sheet of parchment/foil to create a second layer if necessary. 5.) When you’re ready to bake, preheat your oven to 375°. Once the oven has come to temp, remove the dough from the freezer, and place it directly on to a parchment or silpat-lined baking sheet, and then put the sheet straight into the oven. Bake for 12-15 minutes, until the edges are just golden brown, the center no longer looks wet (the center of the cookies should still look very moist and even a little raw, but not wet). 6.) Allow the cookies to cool on the baking sheets for about 5 minutes, then move them to cooling racks for another 5 minutes or so. I think it goes without saying that you’re going to want to plan on eating one of these cookies immediately, right? There is little in life better than a warm, fresh-from-the-oven cookie, and these cookies are pretty much as good as it gets. Even better? Once they’ve fully cooled, 8-10 seconds in the microwave takes them right back to that freshly-baked warmth and texture. Store them in an airtight container for up to 3 or 4 days – not that they’ll last that long. As we near the end of 2013, and Christmas has passed, I imagine that most of your homes are looking like mine – bits of wrapping paper strewn all over the floor, shiny new gifts that have yet to find a home somewhere in the house, and a fridge stuffed full of leftovers. In my personal opinion, the major upside to Christmas leftovers is… LEFTOVER HAM. Leftover ham is THE BEST – it’s great fried up in some butter for breakfast, throw into a sandwich for lunch, eaten straight from the fridge for a snack… you really can’t beat it. A few years ago, it was several days after Christmas, and my mom asked me to take a look in the fridge and see what I could create using the available leftovers. 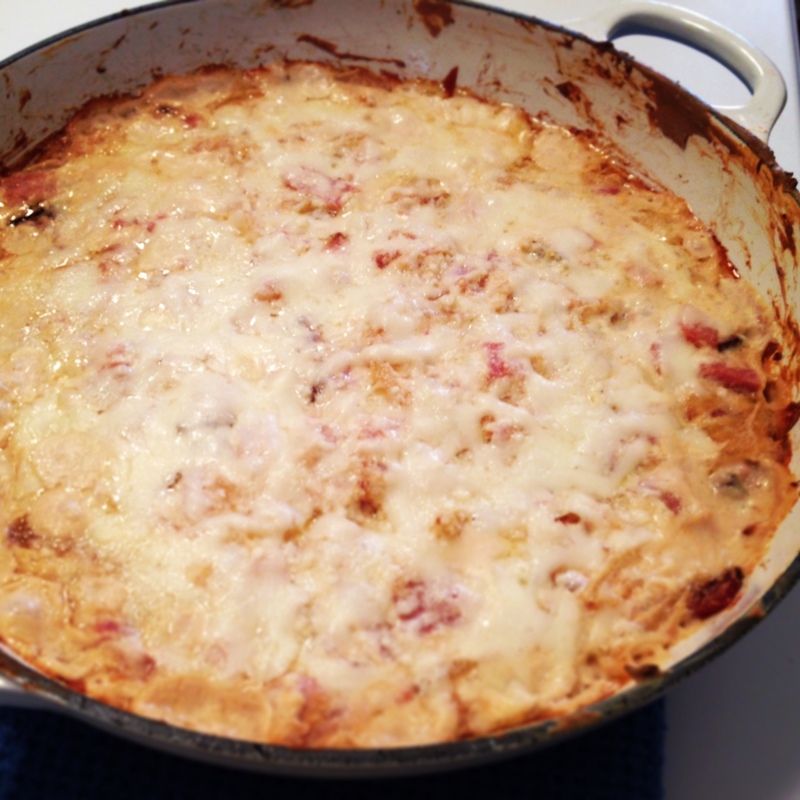 From the depths of the fridge, I pulled some leftover ham, a hunk of unused gruyere, some crostini that hadn’t been eaten… and the Post-Christmas Ham Dip was born. 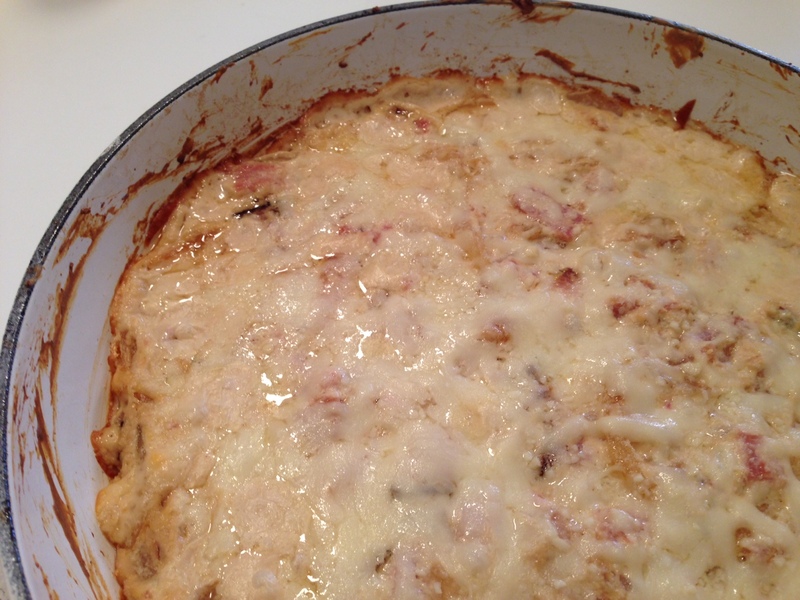 These days, I look forward to the ham dip I make from our leftovers nearly as much as the main event itself! Plus, it’s great for the post-holiday hangover period… you’re too tired to cook anything serious, you don’t want to leave the house, and nothing sounds better then watching some college football bowls, and snacking all day. Keep in mind, this recipe is intended to kind of clean out the fridge; so, if you don’t have gruyere, but you have some mozzarella? Feel free to use that. No panko, but some leftover rolls that are stale and hard as a rock? Crush those into breadcrumbs! 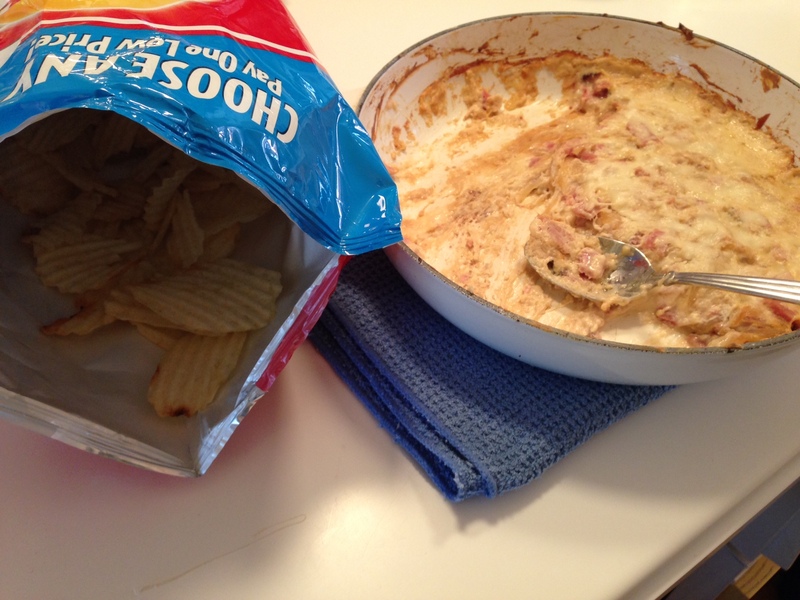 In my opinion, the dip is the most flavorful and delicious as written – but I’ve made it with all kinds of substitutions, and it never disappoints! In a large mixing bowl, combine the ham, caramelized onion, sour cream, cream cheese, dijon, whole grain mustard, salt and pepper. Mix until everything is well-combined. Spread the mixture into a 9×9 baking dish (or whatever size you have on hand, really); top it with the panko breadcrumbs, and bake for 20 minutes or so, until the edges are browned and bubbly. Serve warm with the potato chips.